Truck dealers understand the importance of walk-in prospects. The nature of your equipment demands customers come to your locations, not only to get a closer look at your inventory, but also to drive your equipment to see if it’s the right fit for them. Ideally, these interactions end in new business and enable you to build relationships with your customers. It’s a beautiful process, isn’t it? It’s a shame that it’s changing. 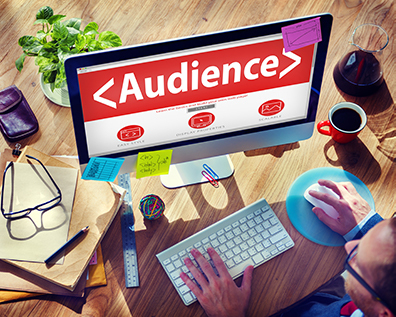 With so much of the buying process taking place online these days, how do you draw an online audience to your physical site? With 89% of U.S. adults being internet users, it will be difficult to get the chance to interact face-to-face with prospects if you are not starting those conversations online. What are some ways to get a prospect’s attention online? With the constant growth of social media platform usage and the frequent introduction of new platforms, the opportunity to reach prospects through social media is constantly growing. As a business, tapping into those opportunities will require you to pay to play. For example, when it comes to Facebook, less than 2% of your followers see your organic posts. This is proof you cannot depend on organic posting alone. Facebook offers options like sponsored or promoted posts that allow you to pay to have your ads and content distributed to a larger audience. You’ll find a common set up with other social media platforms where the best way to get the most out of advertising on each platform is through paid advertising. Majority of social media platforms focus on social networking. This leaves limited room for advertising, making social media platforms a very competitive space. Paid advertising gives you a broader reach and allows you to target prospects your equipment is relevant to. 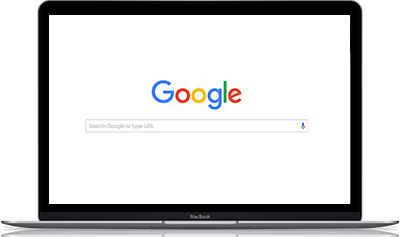 When prospects start searching for equipment you sell on Google search, your dealership will not be in running for options of where to purchase if you rank low on Google’s search engine or do not show up at all. So what can you do to be present during a prospect’s research phase? First, understand that a lot of factors go into your website or landing page showing up on and being ranked highly on a search engine results page, factors like keywords, negative keywords, bid, quality score, etc. This is where search engine optimization (SEO) comes in. SEO increases your website or landing page’s chances of being found on and appearing in top search engine results. Effective SEO needs constant monitoring, analysis, and ongoing testing. You may consider outsourcing an SEO expert to manage your SEO. With the growing usage of smartphones, the inconvenience of pulling up a web page designed for desktop on a mobile device has, unfortunately, become a common experience. The issue with failing to optimize your ads, website, and landing pages for mobile is that it creates a bad user experience and you lose the attention of prospects who use mobile. Parts and service discounts are highly valuable to your prospects and are likely to bring in the type of customers who would buy a new or used truck off your lot. Customers with older equipment likely need a lot of service and new parts and may often find themselves going online to look for better equipment to reduce their daily service needs. You can offer discounts for preventive maintenance or seasonal work, such as brake jobs and electrical inspections in the winter and reefer or A/C maintenance in the summer. Open houses are very common in warm summer months and when well-designed can bring in a decent crowd. They also can be branded as “customer appreciation” events and held every year. It’s a common misconception to think open houses are only valuable when opening a new dealership but that is not the case. You can catch prospects’ attention with free food, a raffle with prizes, and more discounts. In addition to SEO potential, a well-built website should provide value for customers and dealers alike. For the former, a website should present a customer with enough information to help them decide if a truck is worth seeing in person. For the latter, that same website should provide enough data about a customer’s research to enable the dealer to target them with more information. Priority Prospects, Randall-Reilly’s web identification service, allows you to learn who is looking through your website and what they’re looking. With this information, you cater to specific prospect’s interests by offering them a chance to test drive the specific truck they showed interest in or offer. The rise of the internet has undoubtedly caused such a big shift in how buyers make buying decisions, but it cannot replace the value of building relationships with your customers through face-to-face interactions. To connect with prospects in person, first connect with them online and then give them a reason to visit your physical site. Identify and reach buyers BEFORE the competition. Talk to one of our industry experts today to find out how Priority Prospects can help you.